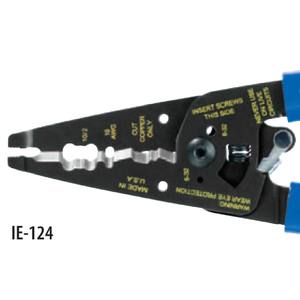 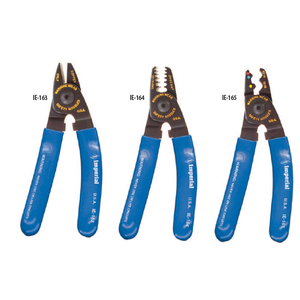 IE-152 4-IN-1 MULTI-PURPOSE ELECTRICAL/DATACOM WIRE CUTTER. 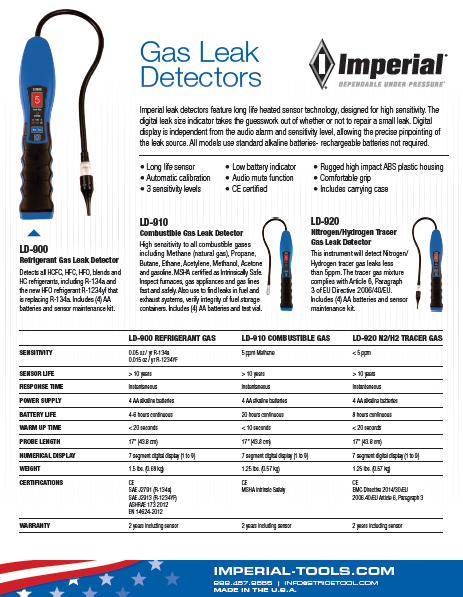 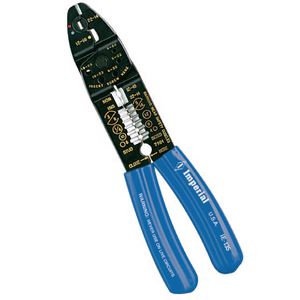 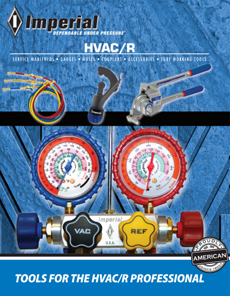 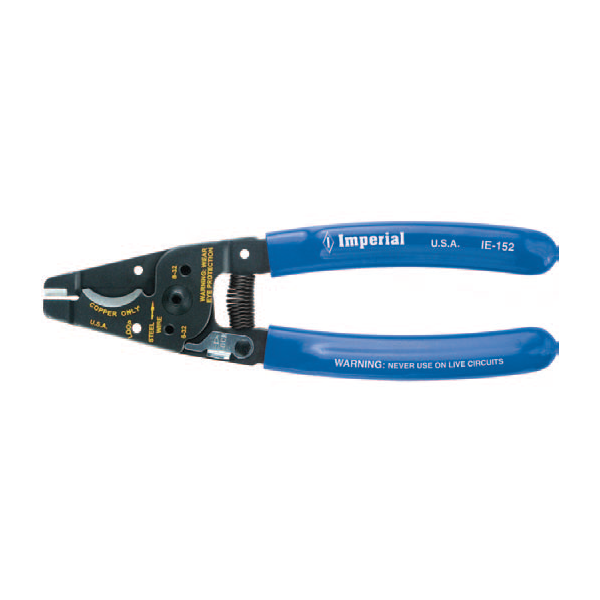 Cuts solid and stranded copper electrical wire/cable and multi-conductor communication wire. 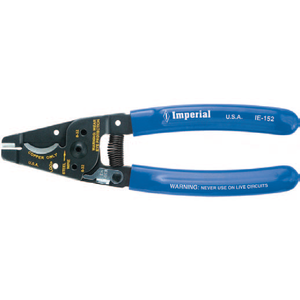 Features anvil cutter at nose for nipping wire in close quarters. 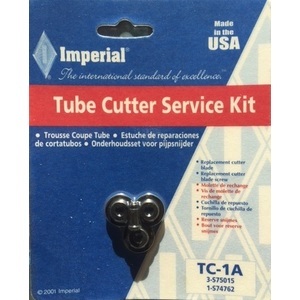 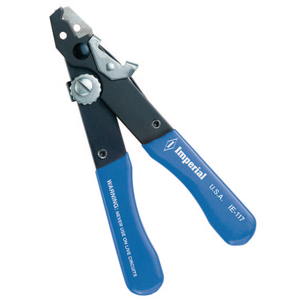 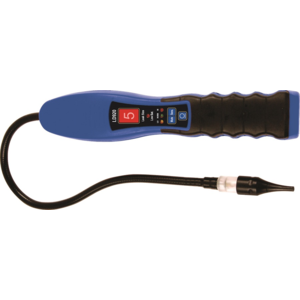 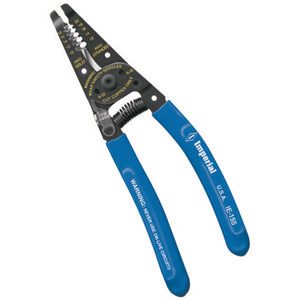 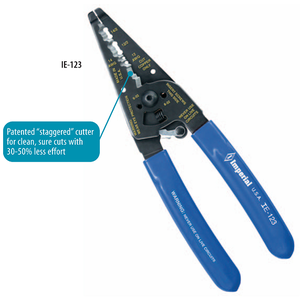 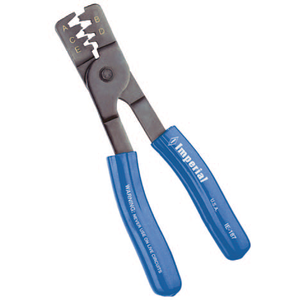 Large 5/8" capacity curved cutter maintains cable geometry for better cable performance. 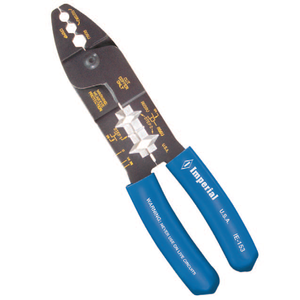 Steel wire shear easily cuts steel reinforced coax (CATV) center conductors and coarse wire rope. 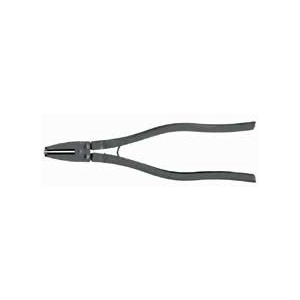 Precision-ground cutting edges with lock to protect sharp edges during storage. 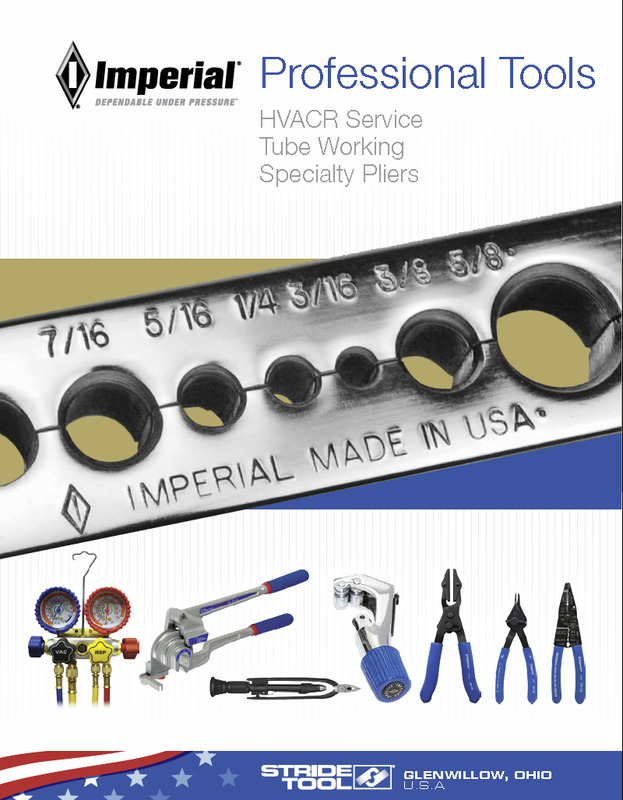 6-32 and 8-32 bolt sizing/cutting stations. 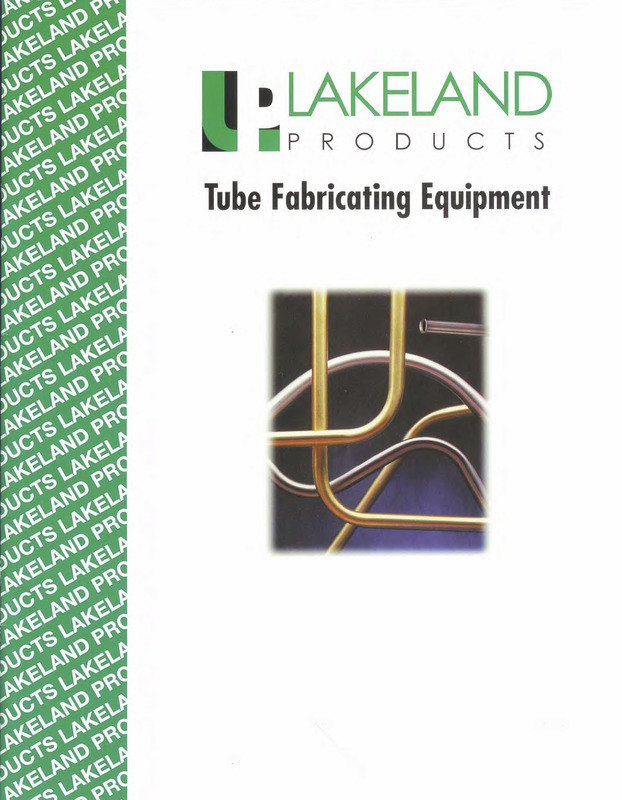 Solid wire looping holes and return spring.